DO NOT spend another dollar on courses or another minute researching how to become a Digital Nomad until you have seen this. We develop digital nomads with our total immersion personal brand coaching and social media marketing mentorship. This is designed to help you create your dream business and set up your future for freedom and flexibility. 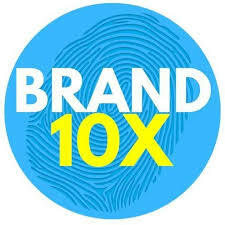 Learn How To Create Your Signature Brand and 10X Your Results In Business. Launch Your Signature Brand and Grow Your Business with Confidence. Earn While You Learn and While On The Go! Get a 4-week digital nomad success guidebook. This is a Step-By-Step guide to show you exactly what to do in the next 28 days order to set up your suitcase business, pack your bags and travel the world. You want a business on your laptop? You want to make money on the go? You are looking for freedom and flexibilty? You want something that will last long term? You want to be a success. A digital nomad? You want a real stay at home business? “Digital nomad” sounds like the quintessential dream job: traveling the world with a laptop and the essentials. Living Your Dream! Making your own schedule in a foreign coffee shop, hopping from destination to destination as you cross yet another country off your bucket list. You are able to have that in itself or be thrilled to enjoy a peaceful and productive life at home with your family. Ready to Live The Digital Nomad Lifestyle? – Let's Get Started!